Earlier this month, the Bermuda Boys’ Brigade and the Church Girls’ Brigade worked together at their annual Christmas Car Wash at St. Paul’s Church car park in Paget to help raise funds for charitable giving this Christmas. The Boys’ Brigade and Church Girls’ Brigade members, families, and leaders raised $1,000 and on November 27, Priest-in-Charge at St. Paul’s Church, The Revd Anthony D. Pettit, presented to Dr. Sandy De Silva ten $100 gift certificates for BELCO electricity, which The Family Centre will distribute to families in the community. Family Centre representative Dr. Sandy De Silva explained to the boys and girls how much the $100 BELCO gift certificates are appreciated and that they will “literally keep the lights on” for 10 families this Christmas. She thanked everyone for their hard work which made these gifts possible. The groups’ next charitable car wash will be at the annual Valentine’s Fair on Saturday, February 11 from 9.o0am to 4.00pm at St. Paul’s Church car park in Paget. The Church Girls’ Brigade meet on Thursday evenings and the Boys’ Brigade on Friday evenings in the Christian Education Centre. 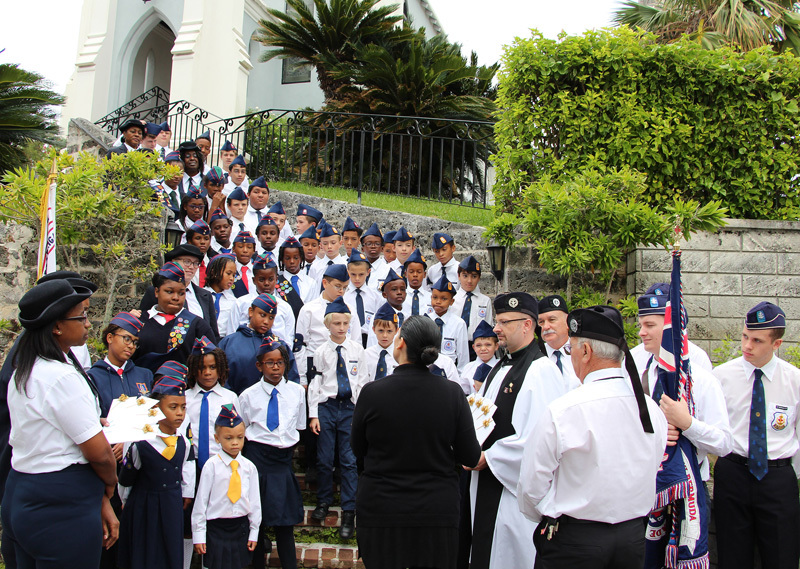 For more information, contact Captain Mr. David Semos, Bermuda Boys’ Brigade, First For Boys on 236-9349, 334-9349, or via email at semosdavid@gmail.com, or Captain Mrs. Joy Symonds, Church Girls’ Brigade, on 292-6493 or via email at joy@logic.bm.